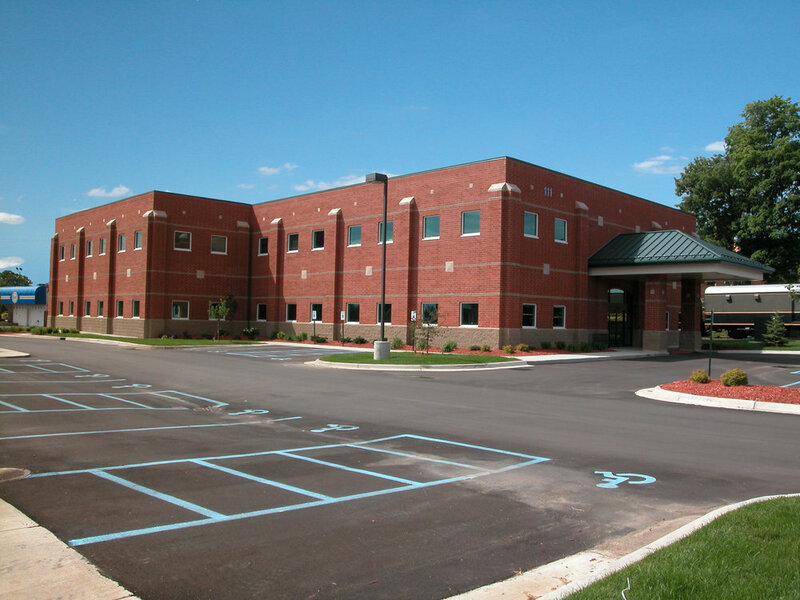 The Hayes Green Beach Memorial Hospital Medical Office Building is located on the Hayes Green Beach Memorial Hospital Campus in Charlotte, Michigan. The medical office building is approximately 22,400 s.f. and is designed to aesthetically match the neighboring hospital. As with each of our unique medical office designs, it is particularly important that the design acommodates the future tenants as well as the specific needs of visiting patients. A unique aspect of this project, which serves as testimony to good collaboration and practice efficiency, is the fact that the individual tenant construction packages (which were also our design) occured as separate projects and were constructed in conjunction with the shell construction. Our exceptional effort made for a smooth transition for tenants. While it demands sound and meticulious scheduling on our part, the end result is a success in design, construction and occuption.